Roux-en-Y (pronounced “ROO-en-why”) gastric bypass surgery restricts food intake by creating a small pouch at the top of the stomach. Roux-en-Y (pronounced “ROO-en-why”) gastric bypass surgery restricts food intake by creating a small pouch at the top of the stomach. The rest of the stomach stays in your body. The formed pouch is then connected to a section of the small intestine, allowing food to bypass the lower stomach and the first two parts of the small intestine. Most gastric bypasses are performed using laparoscopy, a minimally invasive surgical technique performed through very small incisions in the abdomen. Fifty to 80 percent of excess body weight is lost within two years. Most obesity-related health conditions, such as diabetes, high blood pressure and sleep apnea, and joint pain improve or disappear completely. 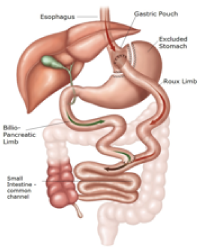 With Roux-en-Y surgery, the stomach and intestines are cut and then reconnected using staples and stitches. If they tear or heal improperly, bleeding and peritonitis (inflammation of the inner abdominal wall) can occur, causing serious complications or even death. Scar tissue or intestinal twisting can cause intestinal blockage. After two years, you may regain 10 to 30 pounds and experience an increased appetite due to the pouch stretching over this time. Food bypasses the small intestine, which is responsible for absorbing protein, calcium and certain vitamins. As a result, vitamin and mineral absorption declines. You must take daily vitamin and mineral supplements forever. Annual blood tests are necessary to check nutrients to ensure health. Before my surgery I was a diabetic, I had sleep apnea, high blood pressure, and lots of busy pain from carrying around 450 pounds. My surgery was in June of 2016. 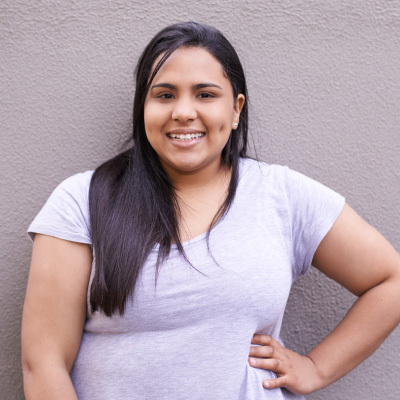 I wanted to get the gastric sleeve bypass surgery for a few years and it didn’t seem possible. I missed some of my doctor appointments and had to start over a couple times. I even gave up at one point. Then I was approved for the surgery. That is when I knew my life would be forever changed. It has been 10 months and I have lost over 150 pounds. I go to the gym at least twice a week. My asthma is all but gone. I can accept challenges athletically and not feel like I’m going to die. I feel much better and see a bright future now, not death before I’m 70. I have a much better life in general. I do have to admit that I still struggle with my eating habits. But, I feel like I have a chance to keep working on that. Every day is a fight, but now for different reasons.